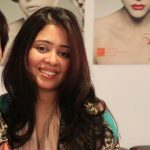 Sabin is a UAE-based writer/blogger who embarked upon her professional career some 17 years ago. She is currently contributing to major publications in the UAE including daily Gulf News. A reluctant feminist, women empowerment, and freedom of expression are two of the many topics close to her heart.